Geometra Software AB | Let´s talk Standardisation! 15 Aug Let´s talk Standardisation! This post is also available in Swedish: Låt oss prata standardisering! Standardisation! Boring!! I would say this is a common response to standardisation and a usual remark is that I want to be a free spirit and it is my own inspiration that conducts what to do and when to do it, myself included. However, there is no contradiction in these two. Instead, if you could standardise some of your work you will actually get time to use the free form working that Fredrik eluded on in his latest blog. Standardisation can be important in many aspects. Standard work is one of the corner stones in Lean thinking as it brings a lot of value to you and to your organisation. It is all about creating common conventions or ways of working that functions together with other parts in the organisation in a smooth way. Just think when you need to onboard a new employee and when you have the whole onboarding process ready and only need to start the process. Also, when someone changes roles or quits their job will it be easy to bring a new person up to speed relatively quick instead to start to figure out what to do. Perhaps you think you have control of what is happening and how things are done. I would argue that most organisations re-invent their process more or less every time. Just think about the difference in onboarding and the feeling the new person will carry with him/her when you have a smooth and planned process. A good way to understand the need to standardise even the simplest processes is just to ask around this simple question. How do you get your coffee in the morning? You will be surprised in how many different ways people can get their coffee. The end point is the same, a cup of coffee, but the variation in the process is huge. If you make the parallel to what you are producing and if you have the same variation in your processes! Remember a customer is never willing to pay extra for your poor internal processes. So, how get to an efficient process with consistent quality is to, yes you guessed it, standardisation. Another example is from this summer’s world cup in football; the free kicks by Ronaldo. If you look how he does it, you will see he has carved out a very standardised way. He places the ball, take an exact number of steps back (five) and then a step to the left. Standing broad legged he focuses on the task which he can do to a 100% as everything else is done in a standardised way and he doesn’t have to think about it. The result usually speaks for itself. Looking at myself and my own training that I did not start very structured or standardised, I just did what I felt to do that specific day. I made some progress but not as much as I wanted. Later I planned my training more thorough and ended up with a complete standardised week (varying by season) where all training sessions where listed, what and how to train down to pulse zones. Now, I could start focus on the quality instead and by utilising this way of training, I have now accomplished my first set of goals; to run Toughest and two Triathlons, a sprint and an Ironman 70.3 result, with less than a year’s training. I’m happy to share my schedule if anyone is interested. What about work, standard week perhaps? The examples above have been non-working related. So, what can you do at work then? I would suggest you start with one simple thing which is to look at all reoccurring tasks you do in a week. For instance, you bill your customers (means that you need to prepare the billing), you do estimates on jobs, you create and send tenders, you make your financial reporting, you follow up on projects et cetera. You will be surprised to see how many tasks you perform week after week. If you then start to place your reoccurring work in a weekly calendar and think if you have any dependencies and when you need to have your tasks finished. You will soon see a pattern start to materialise, your standard week. This will help you to understand when you need to do things and more importantly when you need parts from others to be able to deliver your own stuff. This will then trickle down in the organisation as their calendars need to be standardised to match each other’s. As a consequence, you will suddenly see that you have some free space in your calendar where you can plan some more creative activities. Also, when you do your planning don’t plan for a work load of 100%. Why’s that, because if you suddenly have a peak or something unexpected come up, that will force you to go over the 100%. No big deal you think I can handle that. However, when this is happening all the time, which is not uncommon in today’s work environment, in the end you will start to reach the limit after a while and you risk burning out. Instead plan for a approx. 80% work load, then you will have time and the strength to take care of the peaks much more effectively. Next step would be for you to look at your processes and start to document and go through them with your co-workers and standardise these. I will revisit this topic more thorough in a later post. To live what you preach we had a workshop where we all worked together and created our own standard weeks. Firstly, we all put down all recurring tasks on post-is and then we went one by one and created our weeks. This sparked a lot of discussions as we did find out a lot of dependencies and in the end, we did find a set of standard weeks that worked for everyone and which interplayed nicely. All in all, it took 3h to complete. 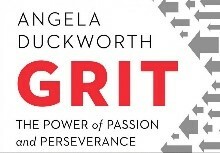 This month’s book tips are: Angela Duckworth’s Grit where she is looking for the answer what makes a talent a talent or why some have it and some don’t. These so called “naturals” what do they have in common, is it Grit?